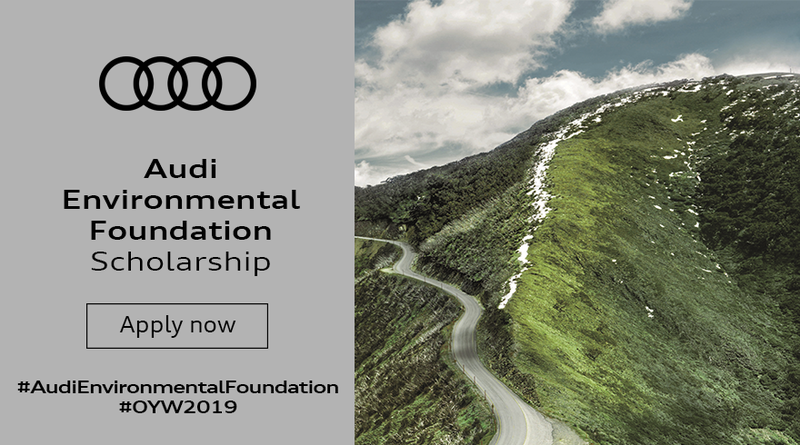 Applications are open for the Audi Environmental Foundation Scholarship 2019. Audi is collaborating with One Young World to offer scholarships to 15 inspiring young leaders to attend this year’s One Young World Summit 2019 in London, United Kingdom. The Audi Environmental Foundation actively supports research into new technologies and scientific methods for a liveable future. Its stated goal is to make a contribution to environmental protection and to create and promote ways of behaving sustainably. The Foundation focuses in particular on promoting and developing environmentally compatible technologies, measures for environmental education and protecting the natural necessities of life for humans, animals and plants. It was established in 2009 by AUDI AG as a 100-percent subsidiary and is part of the company’s social and environmental commitment. Most delegates are between the age of 18 and 30. The One Young World team will consider applications from those who are older than 30, pending demonstration of appropriate personal impact, initiative, and willingness to engage. They are not able to accept applications from those who will be aged under 18 at the time of the Summit. For more information, visit One Young World.